Zurich Chamber Orchestra (Zurcher Kammer Orchester) ran a print advertising campaign, “Great Emotions”, celebrating the impact of powerful music on the human body. 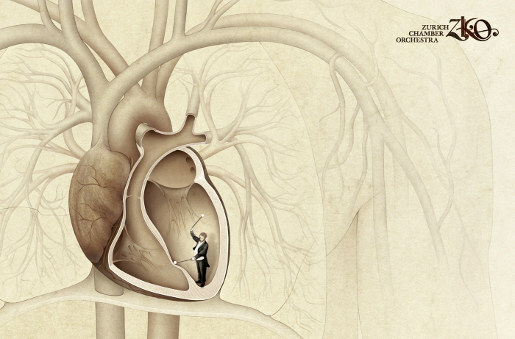 Anatomical art by Descience (Andrea Ullrich and Nadja Stadelmann) incorporates musicians in a heart chamber, tear duct and hair follicle. 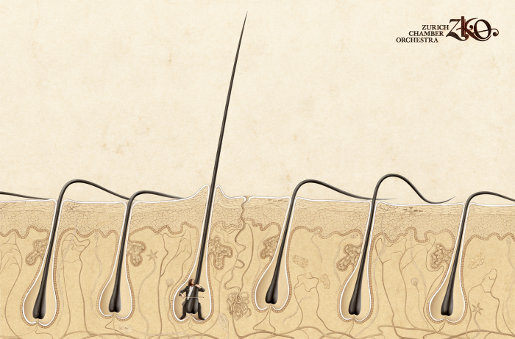 The campaign won a bronze award for Print at the 2010 Clio Awards, following on from success of a Bronze Outdoor Lion at Cannes 2009, Gold for illustration at Montreux 2009. 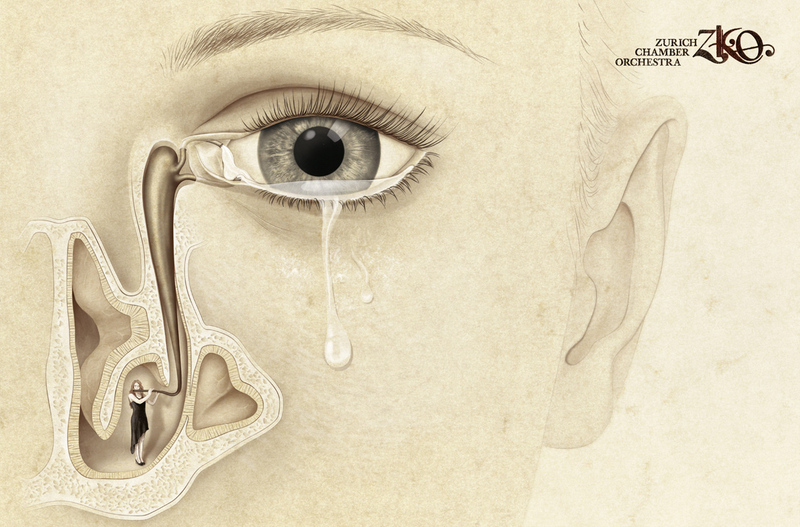 The Great Emotions campaign was developed at Euro RSCG Group Switzerland, Zürich, by executive creative director Frank Bodin, creative director Axel Eckstein, art directors Rob Hartmann, Isabelle Bühler, account executives Cornelia Dürst and Walter Tagliaferri, illustrators Andrea Ullrich and Nadja Stadelmann, with art buying by Anna Colby.